Attacked by wasps, Mendocino Coast: This, by far, was the worst experience in nature I’ve ever had. 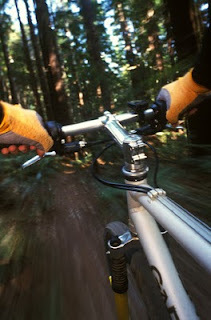 While on assignment for Sunset magazine, I was capturing a mountain biking guided ride. The guide and I went ahead of the group to scout for shots, and when I found a place, I laid my bike down – unfortunately on a wasp nest (burrowed under the leaf-covered forest floor). By the time I knew it, I was stung multiple times as the guide and I ran, dropping all my gear. We had to go back for our bikes and gear and was stung numerous times- in total, I was bit 25 times and the guide about 15. For the next 4-5 hours a weird rush of adrenaline flowed through my body every 10-15 minutes. All in all, I completed the day of shooting, but in some good pain, with scars lasting a few month. 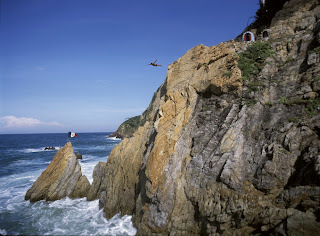 Food poisoning, Acapulco: On a magazine shoot in ’03, I drove from Mexico City to Acapulco, on my way up the coast to Mazatlan stopping at many cruise ports. My Acapulco hotel was renovating their first floor, including their restaurant, so our room service was Hooters- that’s right, Hooters. I only had one dinner (delivered by a man may I say), but the next day I couldn’t eat without it coming back up. Another day later, the heat was sweltering as I went to photograph the famous cliff divers, forgetting my water in the car. And although I was carrying a lot of gear (a 35mm backpack, large tripod, and a very heavy medium format case), I assumed I wouldn’t need much water – sure I was walking down a few hundred steps to find the angle I wanted, but my car was right there at the top, in the parking lot. Unfortunately I was wrong. After a day of not eating, the heat, and the exertion, I was soaked in sweat and very tired. I shot images for a hour or two, but as I headed back up the stone steps, I was exhausted and baking hot- my body screaming out for water. I knew as was in the first stages of heat stroke. It took me 45 minutes to hike my heavy gear to my car and as I arrived at the top, I was pale and a wreck. I tried to eat some watermelon but that too decided it didn’t want to stay in my body. Although I rested with my head between my knees for 45 minutes, I knew I couldn’t rest much more- I had to check out of my hotel and drive 7 hours to Ixtapa for my next stop. Headaches atop Whitney: Backpacking to the top of Mount Whitney’s 14,500 foot peak was a wonderful experience with a few friends, a 300mm lens, and my tripod. But as the highest point in the lower 48 US States, I knew we would be tested with altitude sickness, especially coming from sea level the day before – nothing compared to what Everest climbers go through of course, but enough to become serious if not monitored. Although I made it up and back, the headache I had on the summit was excruciating and that night of sleep was a rough one. Swollen leg in Sarawak: Wasp sting: While I hiked, 4-wheel drove, and helicoptered through the jungles of Borneo, I saw many large insects and bizarre wildlife. I had cut my knee the day before my trip (broken Snapple bottle), requiring stitches (along I never got ’em). My fear was the large gouge on my knee would get infected by jungle parasites, but luckily that never happened. 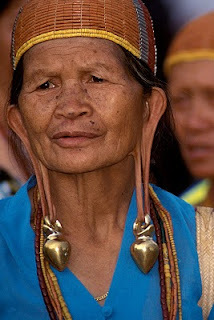 One day however, while in the Penan village of Patik, I was stung on my calf by a wasp- hurt like hell. Over the next few days, my lower leg got larger, began to tighten up, and was covered by a rash- I had no idea why, nor did the doctor who traveled with our group of photographers and journalists. It took a week or so to go completely away, and although it was painful, it didn’t compare to the bizarre feeling a got from taking Larium (anti-malaria medication)- that’s a whole other story. Air cast while covering the Eco-Challenge British Columbia: A few days before covering an adventure race assignment in Canada, I torn my ankle apart and had to wear an air cast. I still traveled to Whistler BC, covered the event for about a week even though my ankle was a mess. By the end of each day it would swell up and couldn’t fit in my boot. On the second night, the whole thing was turning blue and purple, from my toes to my upper ankle, but I toughed it out – not enjoyable but that’s part of the job. Houseboat fall, Lake Shasta CA: If there’s one thing I’ve learned with photography is that the more you get into it, the stupider the things you do. On one Sunset magazine assignment while on the third deck of a houseboat, looking through my 24mm lens and walking at the same time (I know, not smart) I stepped into the hole that was the ladder down to the first floor. Luckily I caught myself albeit half way in the hole, smashed my back, and had a nice welt for a few weeks. Face plant in Montana: I had a mix of magazine assignment’s once in Western Montana, spread out over a 10-day road trip. Of course dealing with weather and planning each shoot meant keeping up with a tight well-organized schedule. So on this particular day near Seeley Lake, I was due to capture sunrise, meet a few people to canoe down a stretch of river, mountain bike up to a waterfall (to save time), and connect with a group for some horseback riding shots before rounding out the day at sunset. The first part of day went off without a hitch. I rented a mountain bike and rode up a narrow technical single-track trail to the waterfall, got the images I needed, and as I headed back I silently was patting myself on the back- not only for being able to make each shoot happen in that day, but also how I was handling the tough trail with my photo backpack. Spoke (or thought) too soon. A 1/2 mile from my car I hit a tree root in the trail and took a nice face plant- broke my watch and sunglasses, and although I wore a helmet, scratched up my forehead nicely, not to mention my arm as well. The bike was in worse shape forcing me to carry it back to the car. That was the end of my day. 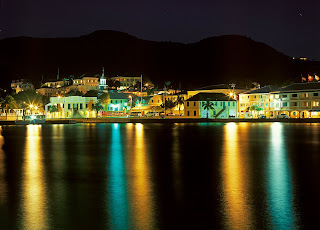 Back spasms in St Croix: I learned in my early 20s I was born with a small case of Spina bifida – my first lumbar never forming completely leaving a large gap. In high school I injured my back and ever since then I would have my back go out from time to time. With workouts and proper posture, I’ve been able to fend off back spasms over the year, but once in the US Virgin Islands, upon arriving for a two week photo shoot, my back gave out- most likely due to carrying so many heavy bags of gear. Models were on the way as well as my client, and luckily after a day of rest, Daypro and Soma, I was able to release the spasm and get back to my job. Homesickness in Buenos Aires: I know, not really a legitimate injury, but it does come with the territory. Three weeks after being married, I was on the road, traveling to Argentina to capture an adventure race in Northern Patagonia. Once I arrived in Buenos Aires, I felt the overwhelming feeling of being homesick. “What am I doing here” I asked myself as I tried to communicate with the little Spanish I knew. Nevertheless I was aware that I had no other choice but to find a hotel, catch my Andes-bound flight the next day and to tough it out- I needed to be responsible and knew I’d regret it if I turned back. When I was younger I thought homesickness would go away with age and wisdom, but it doesn’t – Steinbeck proved that in Travels with Charley. Although I still get homeisck when on assignment, it’s a little easier to deal with since with age comes the awareness of simply putting one foot in front of the other- just as long as it’s not into a hole I might fall through.